If the joy of coffee in the morning is not enough and you are looking for a better justification, then researchers from Stanford University might have the answer. They say that caffeine in your cup of joe can reduce the inflammation linked to heart disease and increase longevity. With aging a range of illnesses have been linked to inflammation. Age-related chronic diseases include arthritis, dementia, heart disease, high blood pressure and some forms of cancer. Currently, anti-inflammatory drugs are prescribed, but the medications have their side effects, as well as reducing the effectiveness or activity of the immune system. The problem is that scientists are not sure about the exact mechanisms behind chronic inflammation. But caffeine seems to block the inflammatory process. In this study over 100 adults were followed for a decade while their medical histories were reviewed. The team compared blood samples of the older participants with the younger ones and found that the older adults had active genes which were not found in younger patients. These genes were responsible for producing an inflammatory protein called IL-1-beta. When these genes were very active, they caused an increase in blood pressure and stiff arteries in participants. The team noticed that participants in the low activation group tended to have higher caffeine intake which led the researchers to look at the effects of caffeine on IL-1-beta levels. The high group also had higher levels of substances known as nucleic-acid metabolites. These substances increase inflammation by stimulating the genes responsible for IL-1-beta production. The researchers found that caffeine reduced the inflammatory responses by blocking the nucleic-acid metabolites activity. “The findings might help explain why past studies have linked higher caffeine intake to a longer life. The human body has probably hundreds of pathways that contribute to chronic inflammation and various diseases. 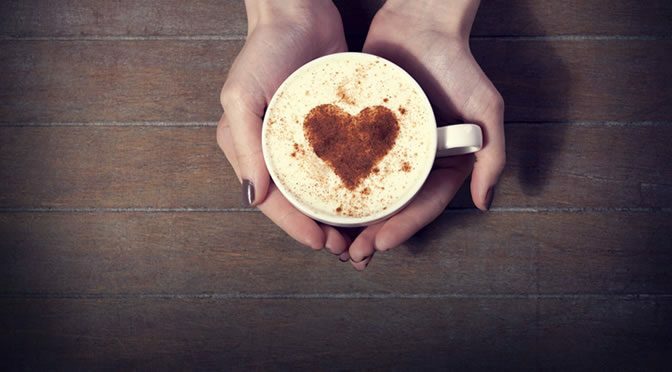 Surely, caffeine can’t prevent heart disease but these findings can help scientists to develop treatments in reducing age-related inflammation in the future. The study was published in Nature Medicine (Furman et al., 2017).